Mexico City, November 28th, 2014 — Professor Muhammad Yunus, Founder of the Grameen Creative Lab and recipient of the Nobel Peace Prize in 2006, announced today that C2 Montréal has been selected the premiere platform to host Grameen Creative Lab’s Social Business Forum in North America for the next seven years. The announcement was made at the Social Business Summit in Mexico City in the presence of Richard St-Pierre, President of C2 Montréal. “C2 Montréal occurs to be the most creative business conference in the world”, declared Professor Yunus. “We’re convinced that the spirit of the conference will kick start a creative movement in social business initiatives in North America,” he added. “We are deeply honoured to have been chosen the main platform for fuelling the Grameen Lab’s creative answers to society’s most pressing needs,” said Mr. St-Pierre. “Every year in May, C2 Montréal welcomes the world’s most creative leaders and we’re confident that our 3,000+ delegates will accelerate the implementation of social businesses designed to eradicate poverty globally,” he continued. The Grameen Creative Lab has already produced many ideas for sustainable businesses around the world. For example, in Malaysia in 2012, the Lab helped to create work opportunities for poor people around the country. The initiatives helped raise 4.5 millions Euros and today hundreds of thousands of Malaysians take advantage of them. From May 26 to 28, 2015, C2 Montréal will host Grameen Creative Lab’s first Social Business Forum in North America. The Forum will be fully integrated into the activities of the conference and will be designed to inspire the many business leaders in attendance to create social business initiatives in North America. The Grameen Creative Lab (GCL) is a social business GmbH, a joint venture between the Yunus Centre in Dhaka (51%) and circ responsibility GmbH & Co. KG in Wiesbaden (49%), founded in 2008 by Nobel Peace Prize laureate Muhammad Yunus and Hans Reitz, serial entrepreneur and creative advisor to the Yunus Centre. GCL is designed to accelerate the social business movement, in collaboration with an international network of talented and dedicated young professionals, entrepreneurs, companies, NGOs, governments, universities and others. C2 Montréal is a non-profit organization that aims to reinvent the concept of the annual international conference, in order to better explore the « commerce-creativity » dynamic and its potential to redefine the business world. Every year, this three-day immersive event assembles renowned innovators from varied backgrounds. Participants are plunged into an intellectual and experiential environment that stimulates the left and right sides of their brains in order to develop their creative leadership skills. C2 Montréal features a tremendous variety of non-traditional experiences including presentations by renowned speakers, interactive exhibitions, multimedia presentations and collaborative workshops, all of which are held in an unconventional « Innovation Village » conceived exclusively by and for C2 Montréal. 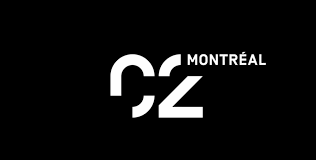 C2 Montréal was founded and Imagined by the Sid Lee creative agency in collaboration with Founding Partner Cirque du Soleil, Leadership Partner Microsoft, and Content and Media Partner Fast Company magazine.